Before going into the fun parts about Europe, I think I’d better write some essential things when we prepared our Europe trip. As I said in previous entry, a trip to Europe IS expensive unless you joined a tour in which everything is arranged BUT you’ll have limited time to explore the cities. So, why did we decided to splurge our saving? Why not saving the money for something else? Well… I must say, mostly this trip can happen because my husband wants to make my dream comes through. I see it as my first anniversary gift from him 🙂 Super sweet…. Luckily, I’m not a girl who likes expensive bags or clothes but I rather save my money and go see the world! First thing we did after we booked our flight to Europe was looking for information about getting a VISA. Yes, I live in Canada but I’m only Permanent Resident here which means I don’t have a Canadian passport. According to EU & UK regulation, I need a Visa to get into there. For visiting France, Italy, and Paris, I need to apply for a Schengen visa. With this Visa, you can visit any 25 European countries that are part of this partnership. The rule is that you can apply at any countries that are member of the Schengen area as long as it’s your first destination (country where you landed first) OR in which you stay the longest. Since Paris was our first stop, we applied at France consulate. Here ‘s the link for the visa requirement from Vancouver office. The processing fee was Cad$82 and it only took 1 day! I went for morning appointment and I got my passport back in the evening. Well… don’t use my word for the processing time. It might take 3 days to a week for some people. So leave enough time for the application. The second visa that we needed was UK visa. The application for this visa is online (here’s the link for requirement). They do need some detailed information about you, so be prepare to fill the form for couple hours. After submitting the online application, you are required to pay the processing fee (USD $132) using credit card. Afterward, you have to set up appointment to drop your documents and passport. These are all done ONLINE! Once you go to visa office for your appointment, the officer will stamp all the necessary documents and give you the receipt. Apparently, UK doesn’t have its consulate in Vancouver, Canada. The officer told me to send my application and my passport using courier to the office in New York. Yes! More money out of the pocket…. *sigh* For me and my husband documents, we paid Cad $56 for DHL with return envelope. Anyway, we paid it since we were kinda short of time at the moment. The whole process – from sending to receiving back my passport – took about 3 weeks! I was worried that we couldn’t get our passport on time but luckily we got it 2 weeks prior to our departure date. Most major stores in Europe accepts credit cards (Visa and Mastercard widely accepted, American Express was limited). However, do call you credit card provider before trying to book for European train or plane unless you want your transaction to be incomplete. This was a fraud prevention that most credit cards have. Once there’s an unusual activity happened, it will block itself from completing the transaction. We did call our credit card provider to ensure that we could book train ticket so it went pretty smoothly. I also brought my debit card in case we need to withdraw some money from the ATM. You also have to call the number at the back of your debit card to notify them so that you can do withdrawal while you’re in Europe. However, you have to pay fee with ATM withdrawal. We didn’t do any withdrawal at all while we were in Europe so I’m not sure how much they charge per transaction. Plane ticket to Europe during summer is expensive, especially during school holiday! So what the heck we went in July?! It’s because that’s the only time I can take days off while my company wasn’t doing any production. My hubby did some researches for almost a month before we decided to buy. Even then, we weren’t sure if the price was going to go down or up. In my opinion, the best way to buy plane ticket is having different arrival and departure cities. This way, you can plan your trip and don’t have to go back to the first city you landed to go back home. We used kayak.com and Google Flights to see different flight options with different price points and even with flexible date. At the end, we decided to choose Air Transat for Vancouver (Canada) – Paris and London – Vancouver as our best option with reasonable price. Even then, we were a bit late to get the cheaper ticket! Luckily, my husband remembered that our credit card has travel point (every time we spend some amount of money using the credit card, it automatically converts to travel points that can be redeemed ONLY when we booked a flight or hotel or any travel related entertainment). By using our point, we got Cad$ 350 back for our plane ticket. Sweet! The Air Transat plane from Vancouver to Paris has a personal TV in front of each seat and the interior seems like brand new. On the contrary, when we flew back to Vancouver from London, we got an older plane with central small TV in the middle of the aisle. For 8 hours flight, I prefer to have my personal TV, but on the way back home, it didn’t really matter since I fell asleep couple times since I was too tired from walking 17 days straight! There are lots of option to travel within Europe. The fastest way is using airplane. Well… in my opinion, not really the fastest since you also have to count your time to go to the airport to check in and the security check. In addition, when you arrive at the designated cities, the airport is most likely NOT in city centre but rather a bit farther outside the city (on average, you have to travel 30 minutes to an hour to get to city centre). Plus, you have to account the fee for bus/ taxi/ train ticket to go to and from the airport. 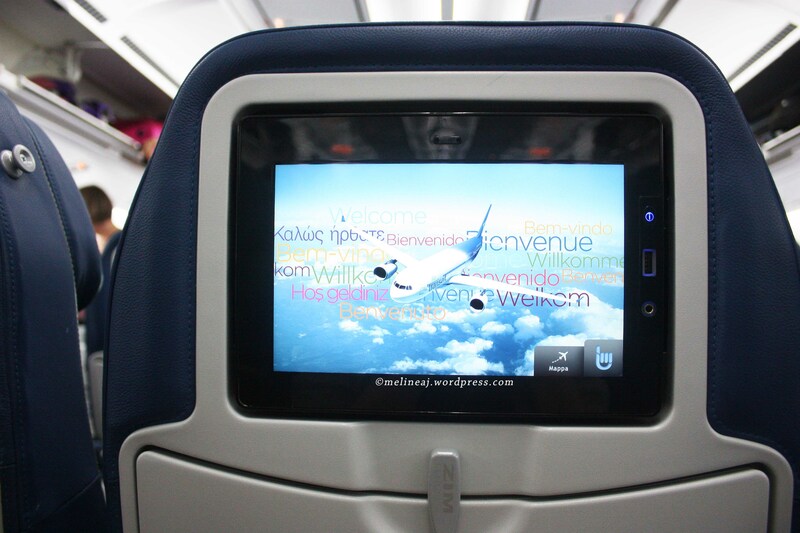 But again, if you want to be comfortable and want less hassle, airplane is your best option. We use airplane for travelling from Rome to Barcelona and from Barcelona to London. Lots of local airplane has cheap ticket promotion. My friend said most of the airline slashes their price at the day of departure. Not brave enough to take chances, we booked the flight beforehand. A pair of ticket from Rome to Barcelona cost us Cad$300 using Iberia/ Vueling Airlines – we booked via Expedia. The plane was a smaller plane. However, since we couldn’t check in online, we got the very back seats so we couldn’t recline the seat. Thankfully, it was only 2 hours trip! Two tickets from Barcelona to London was cheaper, only €115, using Easy Jet – we chose to have luggage allowance (if you don’t have any baggage, the ticket will be cheaper). Easy Jet, surprisingly, has a good plane. The seats are bigger than Vueling one. When we arrived at London, our host where we stayed said that he preferred Easy Jet than Ryan Air since Ryan Air’s seat is very small. When booking cheap airplane ticket from those airline, make sure you double check or even triple check where the airport for departure and arrival! When we used Easy Jet, we landed at London Gatwick – by train to city centre, it was about an hour plus £10 per person for the train ticket. While Ryan Air may land at different London airport that might be farther. Not only for London, I suggest you check the designated airport anywhere you go in Europe (most cities have 2 or more airports) since the travel time to/from city centre DOES cost your time and money. Another option is by train. If you plan to backpack or visit a number of different cities in Europe with restricted budget, this is your best option. 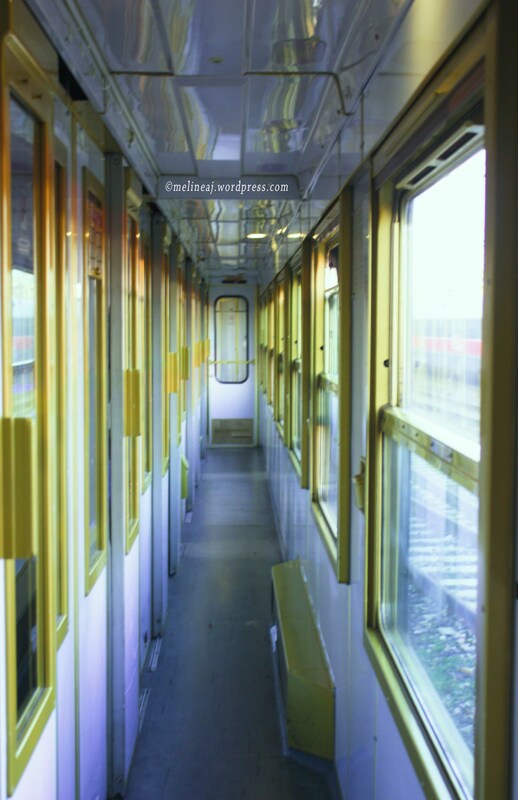 Eurail or Eurorail has different option you can choose from. One country pass starts from Cad$ 52 and the Global Pass (up to 24 countries) for 2 weeks or more starts from Cad$ 532! In terms of saving, this might be the best but you have to sacrifice your travel time. 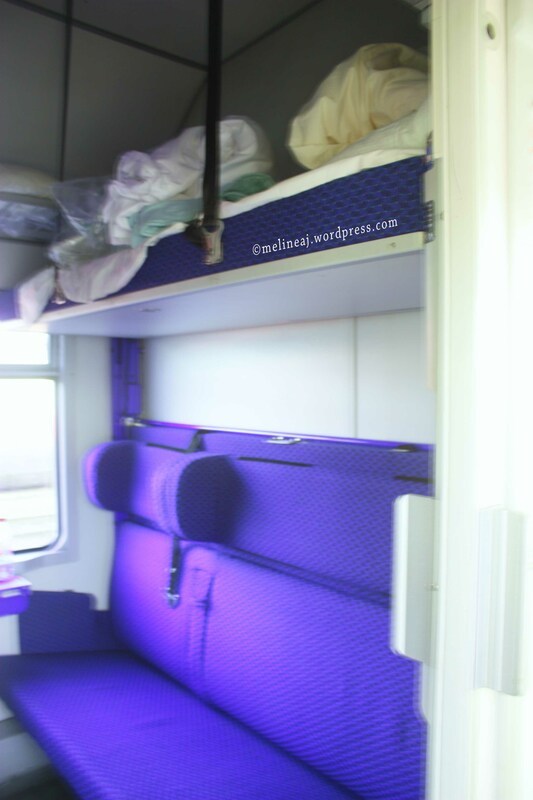 For our trip from Paris to Venice (Santa Lucia), we chose to try overnight train, Thello. They have different types of ticket depending on how many people you willing to share your sleeping compartment. The cheapest one was 6 person couchette. In each compartment, there’ll be 2 three-stories bunk beds. 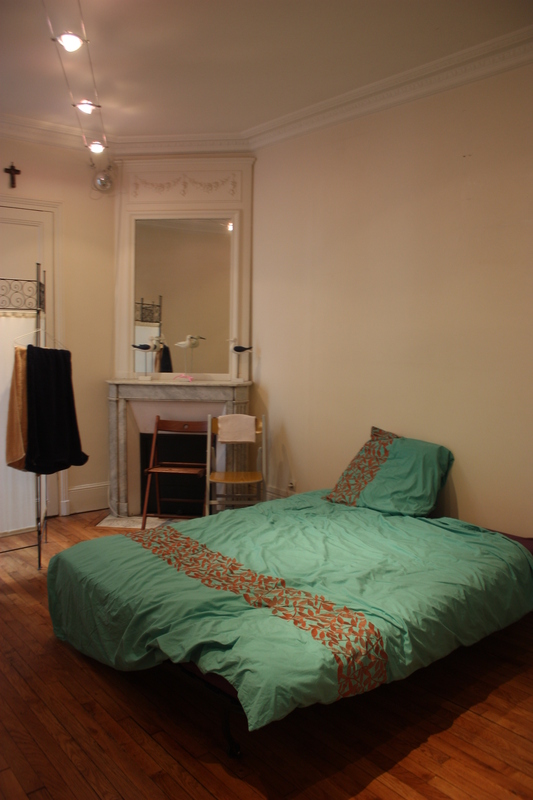 Or if you want your privacy, you can choose to stay at 1 person couchette, but then you have to pay extra for that. We booked the 6 person couchette and spent €200 for both of us. Surprisingly, the bunk bed was very comfortable! Even my tall husband slept too comfortably (he snored hahaha….). With €100 per person, we save on the transportation and accommodation fee for a day! We also took a train from Venice to Rome using TrenItalia. It cost us €98 for 2 people. They have lots of train for this itinerary daily. However, I found out that it’s cheaper to buy the ticket online than buy at the train station! When we were about to board, I curiously took a look at the vending machine and put in the same train as the one I book and the price was €98 for one person! It took us about 4 hours to arrive at Rome Termini. This train also stopped at Firenze (Florence) which is about an hour by train from Rome. Buses between European cities are widely available. Yet, this might be the slowest means of transportation but is cheaper than plane and train. If time is not a problem for you, this might help you stretch your budget. Accommodation in Europe wasn’t cheap either! At first, we booked our hotels using Expedia. I didn’t even looking for the fancy hotels, just the ones that are close to city centre & metro station that seem clean and in a safe area. Even then, the accomodation for 17 nights was over Cad$2000! We never expected this! My husband then looked a way to find a nice but cheaper accommodation. Then, he found Airbnb! 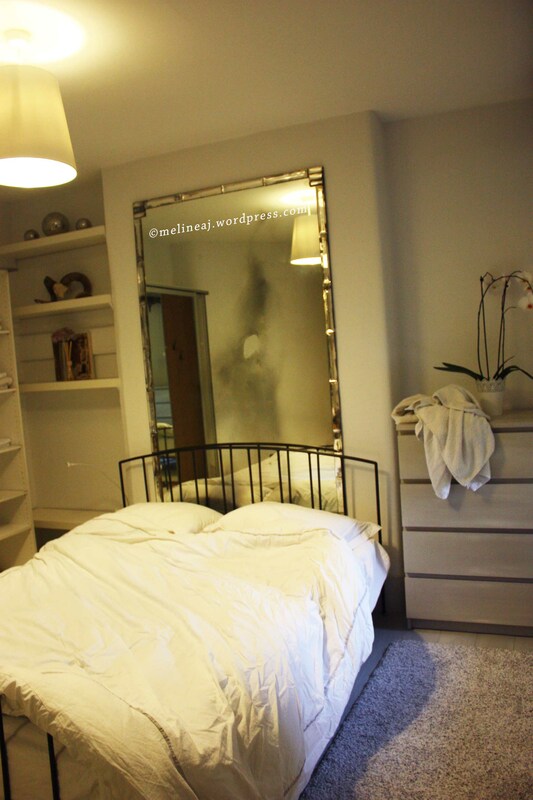 This website is a space where local people can advertise their a room or a whole apartment for rent. The price is pretty competitive, especially those apartments in very central areas. At first, I was a bit sceptic to book via Airbnb. I’m not used to go into stranger’s house and stay there. How about safety and cleanliness? Also, if you rent a room in someone’s apartment, most likely, you’ll share the bathroom. However, due to budget constraint, I agreed to book our accommodation via Airbnb (except when we were in Barcelona since it was our anniversary day so we want something special). Fortunately, we booked the hotels with free cancellation and we got the refund 2 weeks after we cancelled all the hotels. Looking for a trustable place via Airbnb was very hard at first. I personally was a super picky person in terms of accommodation. The location was the primary concern for us. We wanted accommodation that was in walkable distance from metro station. Even when I like one place, it might not be available on the date that we requested. So at the end, we messaged a bunch of potential places at once and waited for replies. Once they replied us, we then carefully selected the one that we were really comfortable with (in terms of price, location, and the space itself). Oh… they do have picture of the room, living area, kitchen, bathroom, etc on the advertisement. Reading other guests’ reviews is VERY important too! They are the ones who already experienced the place. What I found important too was the host. It’s good if you have English spoken host, so that you can ask for recommendations for local restaurant or major attractions. 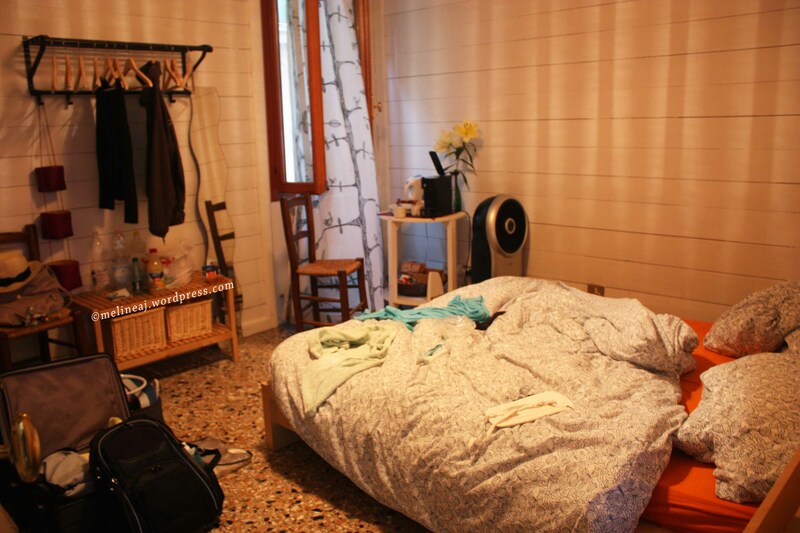 When we were in Paris, Venice, and London, we booked a room in an apartment with the host present. 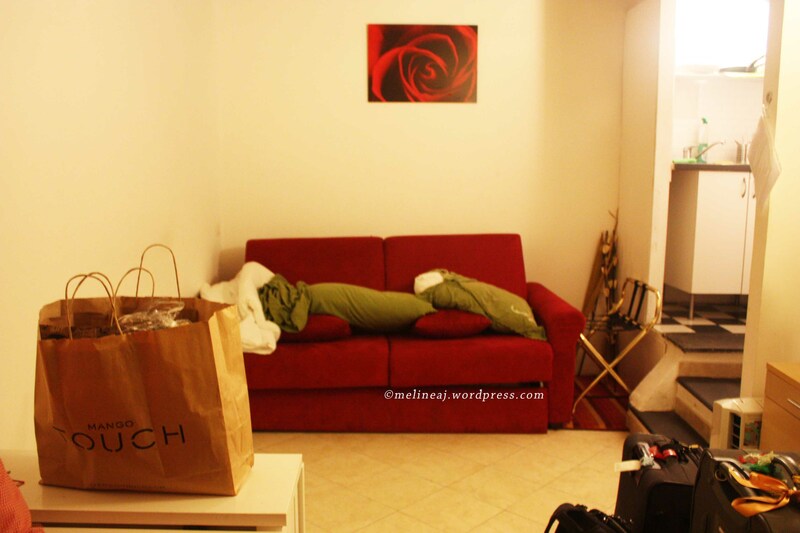 In Rome, we booked for a whole apartment – more like a studio. As I said before, having a – good – host living with you is more convenient since he/she can give good recommendation. I read some reviews of other places, some hosts may not be that kind… So do your research carefully! My suggestion is that when you exchange message to confirm your stay, the communication from the host reflects how he/she is in real life. If he/she replied the message very quickly, he/she is easy to approach in case you need something urgent. So yeah, this needs a little bit ‘instinct’ too… Oh don’t forget to read for the house rules. Our hosts in Venice and London have dog, so if you are allergic to dog, you might want to look for those without pet/ smoking/ etc. At the end, I’m very satisfied with our accommodation that we booked via Airbnb. The major thing is that we managed to save almost $500 compared if we booked hotels!!! 3 Responses to "Europe Essentials"